This is the packing area on the first floor of the Mill. 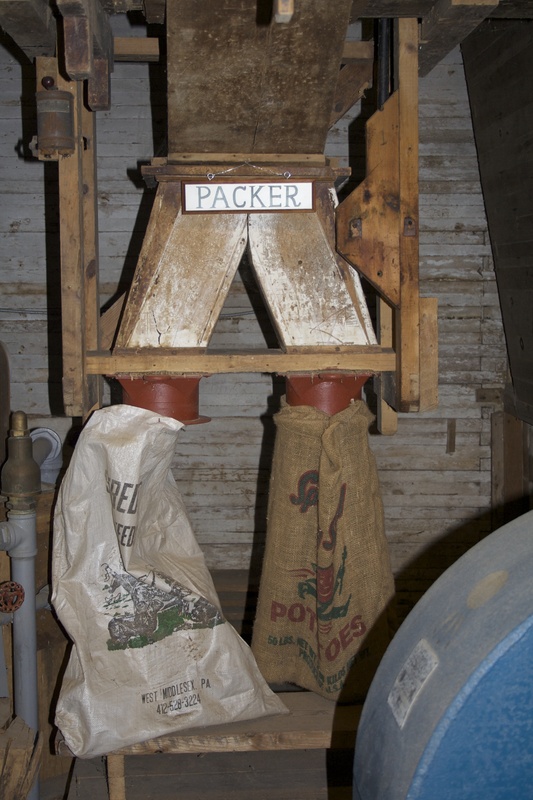 The packer is called a “pair of pants packer” because it could fill two bags at one time. 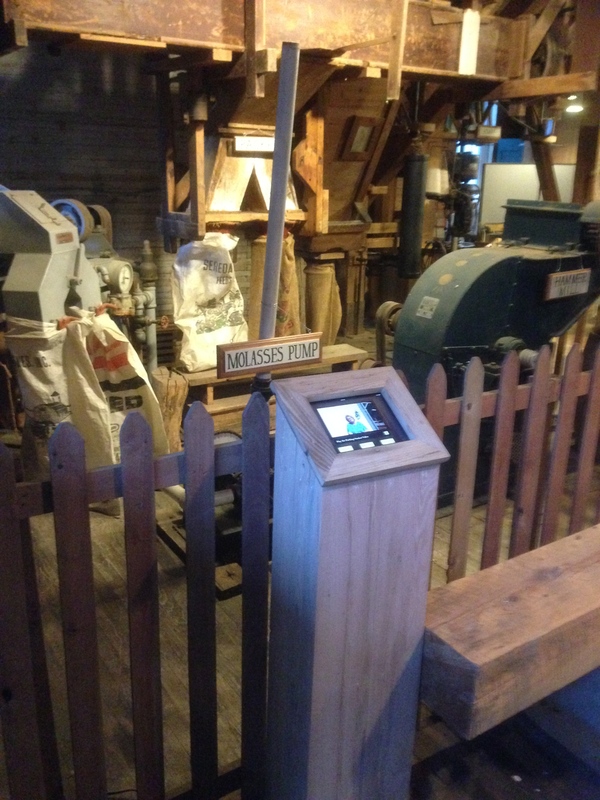 It was fed by a horizontal box which contained a powered auger to feed the grain through the box.